March is National Traumatic Brain Injury month in the United States. According to a recent traumatic brain injury (TBI) feature in Appalachian State University News, the Centers for Disease Control (CDC) estimated that 2.4 million Americans suffer a traumatic brain injury each year. Whether caused by an auto accident, a fall accident, sports injury or other cause of head trauma, traumatic brain injury is having a devastating effect millions of people – and their families. The leading cause of traumatic brain injury in the United States, according to the CDC, is fall injuries. As our Boston fall injury attorneys can explain, victims of fall accidents and their family members can suffer tremendously as result of these accidents. Fall accident victims are often in the hospital for extended periods of time during initial treatment, where they miss a considerable amount work while at the same time racking up tremendous amounts in medical expenses. TBI victims may also require a lifetime of rehabilitation and assisted care to help them lead as close to a normal life as possible. It is estimated that at least 35 percent of all TBIs are a result of fall injuries. The second leading cause for TBI in the United States are traffic accidents, at around 17 percent, and hitting or being hit with an object accounts for just under 17 percent of all TBIs. In addition to the 2.4 million TBI victims each year, it is estimated that 5.3 million Americans are living with a TBI each year. In addition to providing additional research figures and facts about head injury, the article also looked at one individual’s personal experience with a TBI. A former college professor fell in his home in 2009. The fall caused his skull to fracture, and he suffered a TBI. He was unable to continue working after the accident. He continues to suffer from a loss of physical abilities, cognitive skills, has social and behavioral issues, and other possibly permanent consequences of his horrific accident. After being a college professor for over 14 years, he now spends his time trying to raise awareness for TBI issues and works as and advocate for TBI victims. In addition to fall accidents, motor vehicle crashes, and trauma from an object, recreational activities, especially in the winter, such as snowboarding, skiing, and snowmobile riding, are leading causes of traumatic brain injury. While wearing a helmet during these activities can significantly reduce the chances an accident victim will suffer a traumatic brain injury, many TBIs still occur to people wearing helmets. There is also a misconception that one must suffer an open head wound in order to experience a traumatic brain injury. 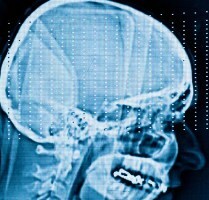 While an open head wound can certainly cause a TBI, such an injury is not necessary. A common cause of TBI begins with a concussion. A concussion occurs when the brain forcefully slams against the skull. This can occur even if the there is no external wound. If a concussion occurs, the brain can swell, causing intra-cranial pressure and cutting off oxygen supply. An untreated concussion can lead to a TBI or even death.